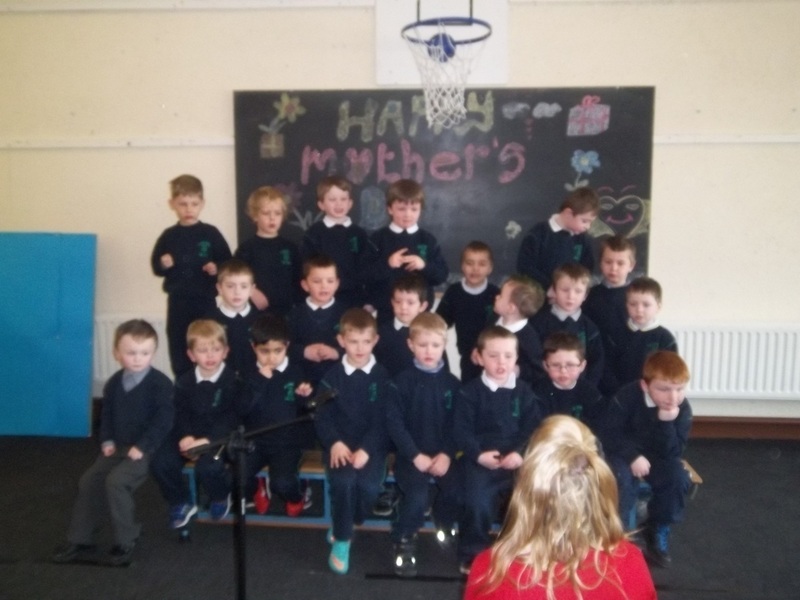 On Friday, March 8th last, our Junior Infant and Senior Infant mammies were invited to participate in a special occasion by their sons in honour of being the best mammies in the world. 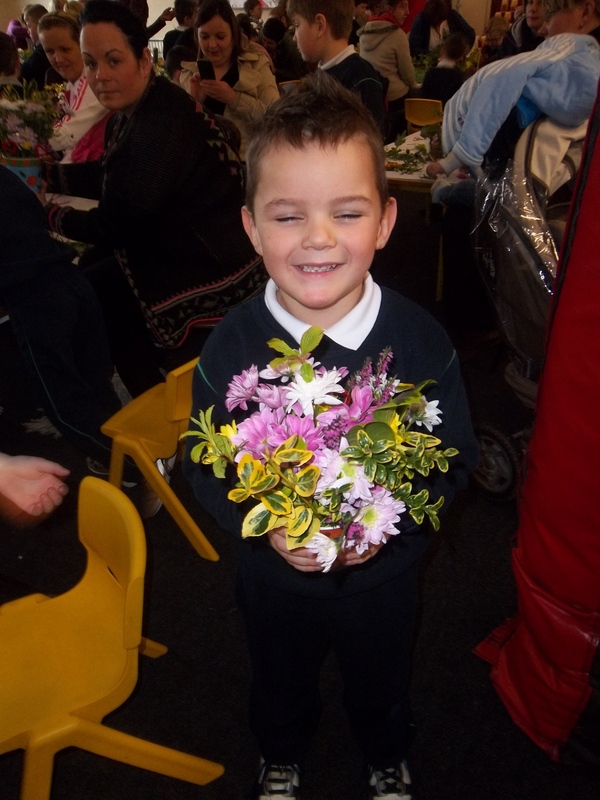 The boys watched enthusiastically as Mrs. Lonergan demonstrated how to make a flower arrangement, emphasising that no two would be the same and that each arrangement would be unique and special. 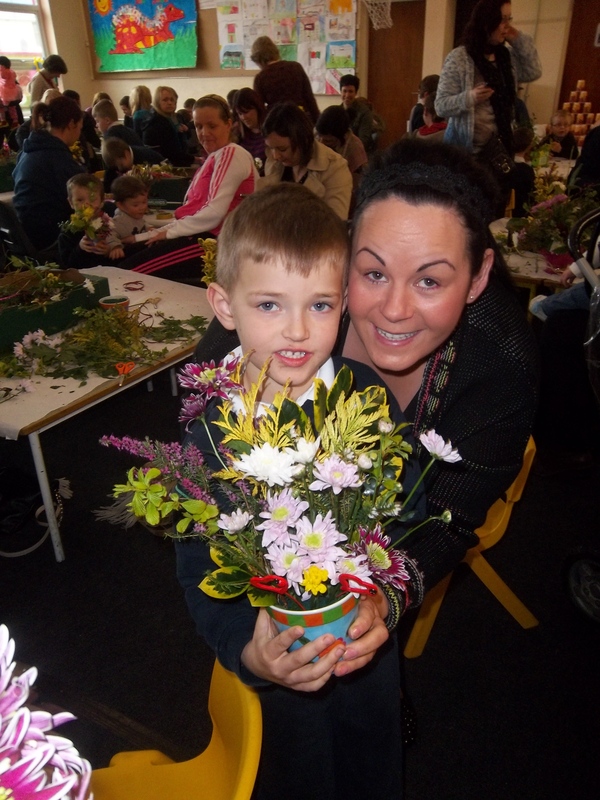 With a little help from mom, the boys quickly set to work and created beautiful flower arrangements that they were very proud of. 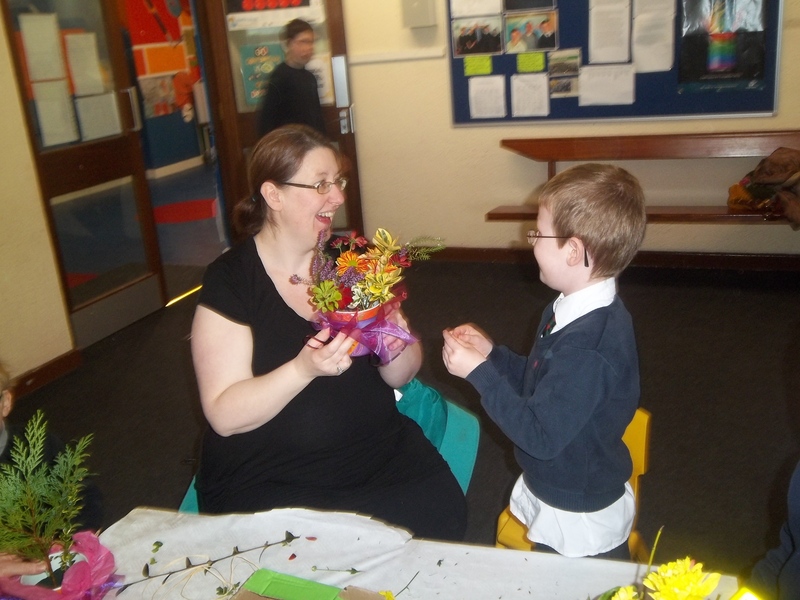 There was a wonderful atmosphere in the hall as classical music played in the background. 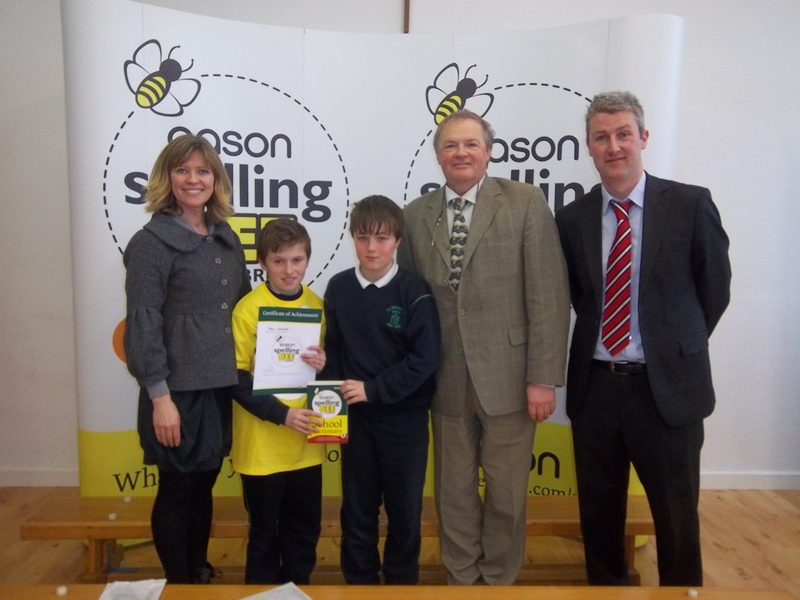 Well done to all the boys from 3rd/4th/5th and 6th classes who took part in spelling bees over the past few weeks. It has been a great activity for the boys and its great to see boys value the skill of spelling. 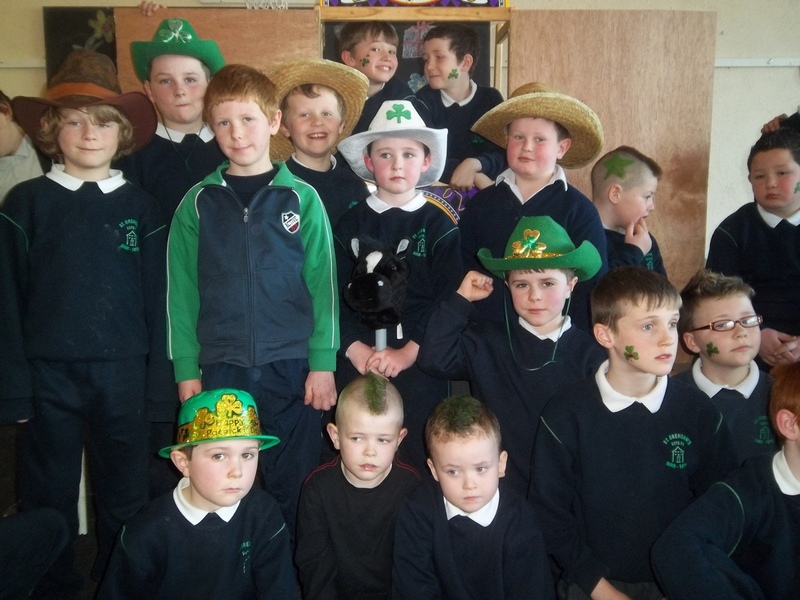 This was a new event to St.Brendans PS and no doubt will continue judging by the positive feedback! 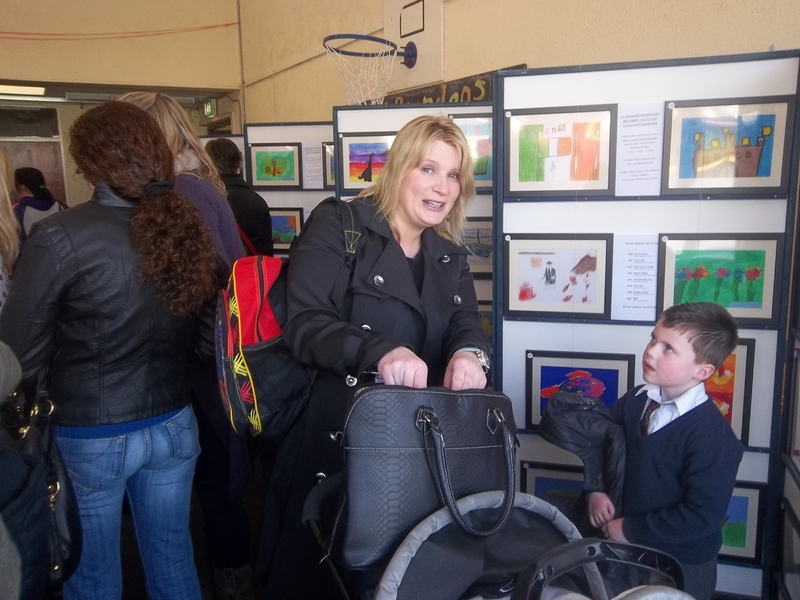 It was a wonderful occasion to see our pupils artwork in a real art exhibition at the school on Tuesday 5th March. 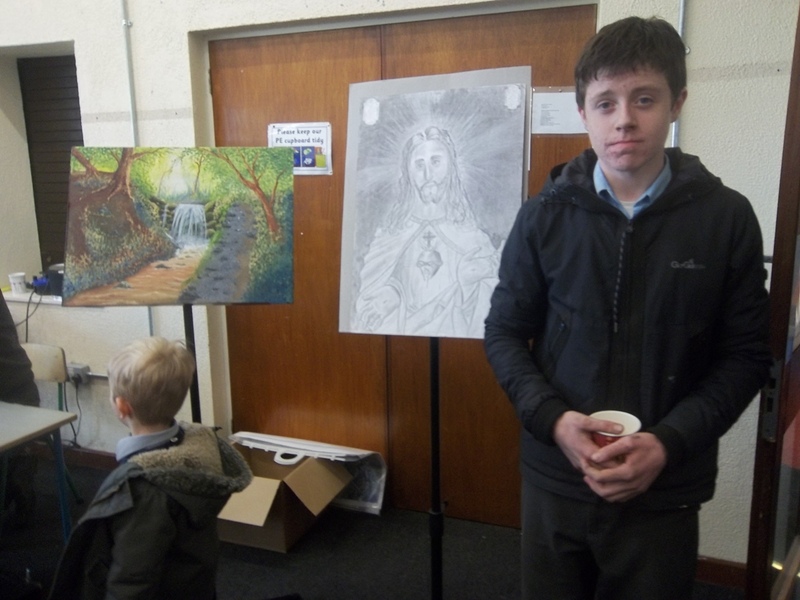 Justin from Images was not only impressed with the quality of artwork ( staff not included ! ) 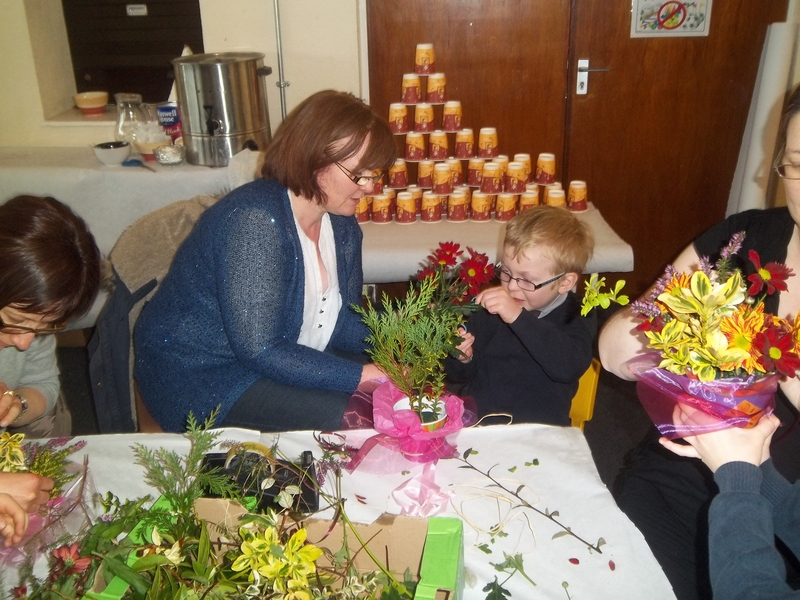 but the sense of community and warmth in the school as parents chatted and relaxed with tea/coffee. 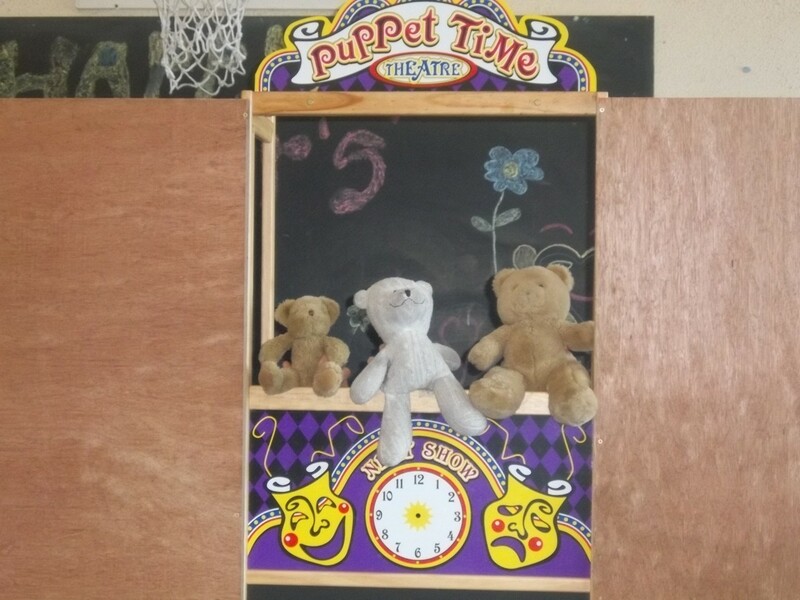 In his over 11 years of travelling the country with these exhibits, OUR school had the highest sales/response of any urban all-boys school. 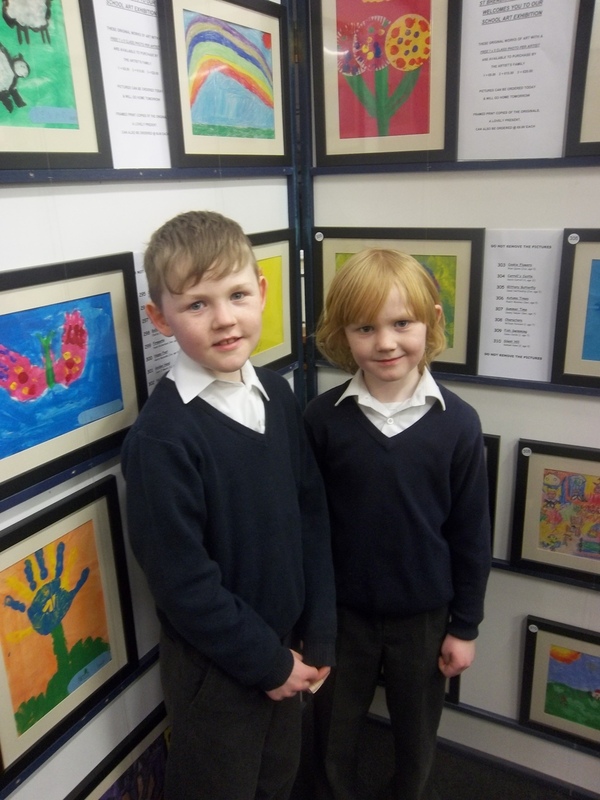 Unsold paintings will remain on display in the school until after easter. 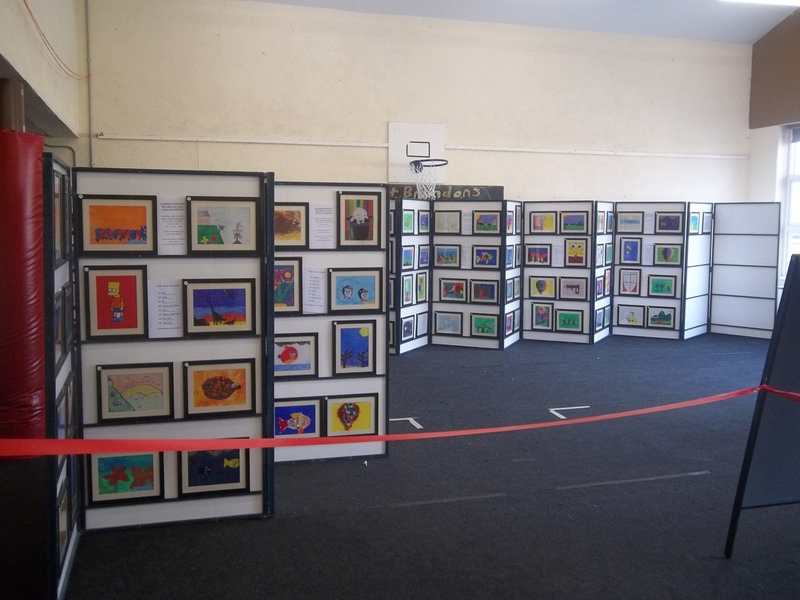 Hope all artwork is hanging in pride of place in your homes! Thank you all so much for your support of this free offer with the Saturday Irish Independent. 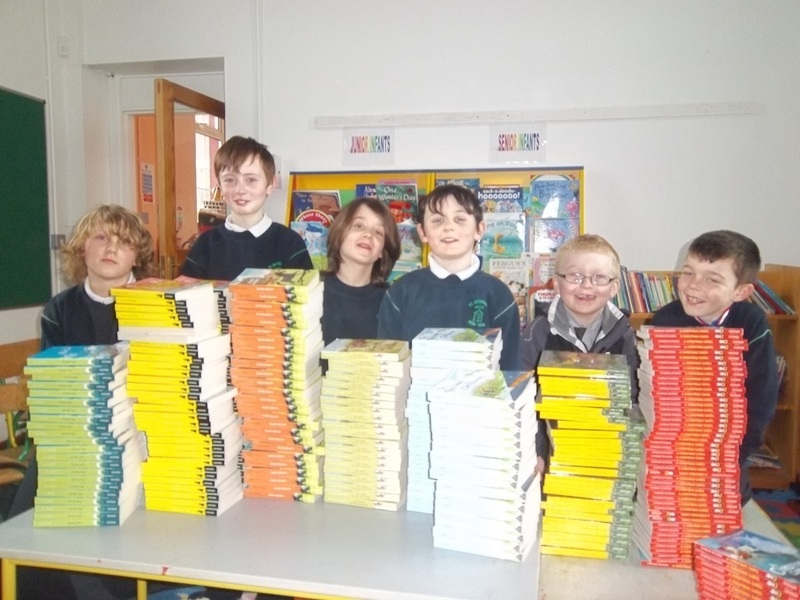 After the 8 weeks were over , the school has collected a fantastic 345 FREE BOOKS !!! Going to amazon for price comparison gives a rough cost of €5 per book. 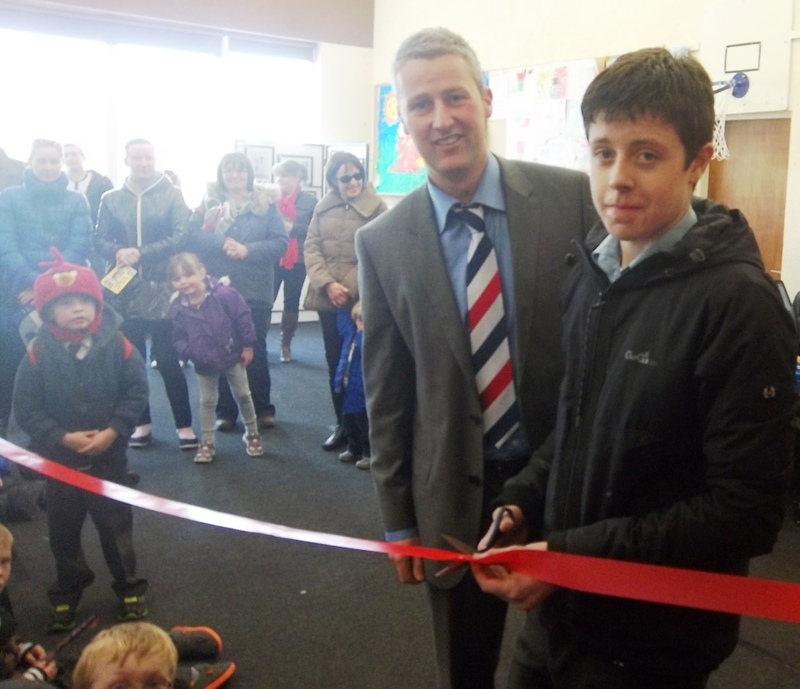 This means that our boys can now have use of over € 1700 worth of books from our school library. 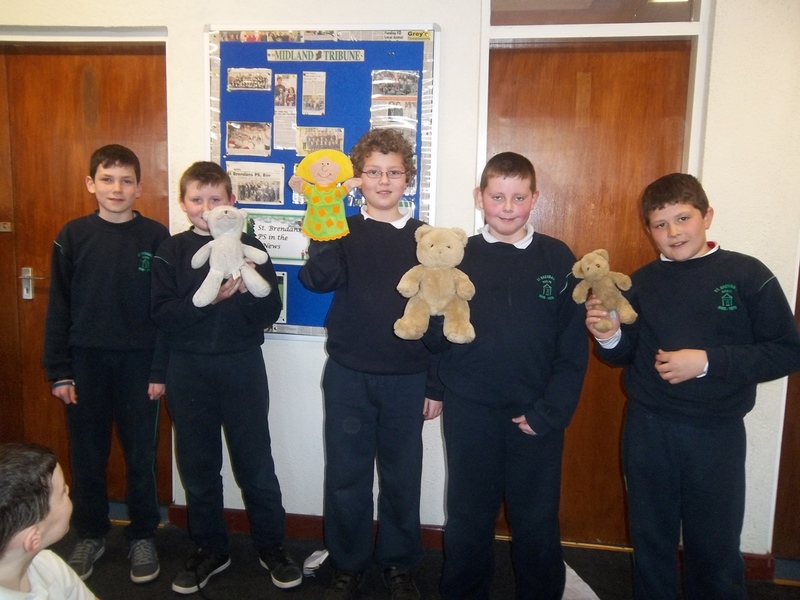 Thanks to all the families who collected tokens, to the boys who brought in the books, to the teachers who supported the appeal and to Mrs.Teresa Kelly for coming up with the idea of the collection and diligently went to classes each Monday to collect the books and encourage the boys. 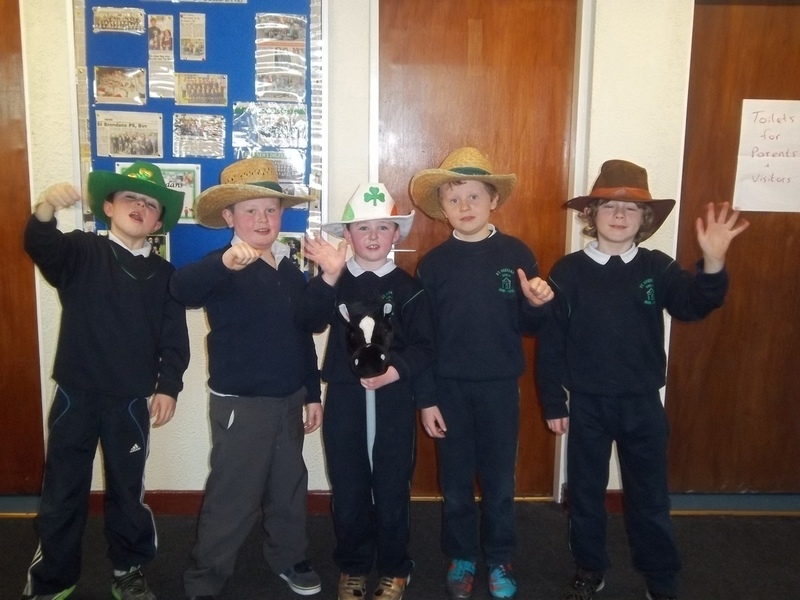 Currently these novels are being read in 2nd/ 4th and 6th class with the boys getting a great chance to enjoy the classics !